Where is your store and what hours are you open? We are an online store only and not open to the public. Tricia had a shop (FriendFolks) located in Graham, TX for many years. When she began designing patterns, she closed the shop to focus on designing and she opened the online store. Our site is available 24/7. Our office hours are Mon-Fri from 9am to 5pm (CST). Michelle is the only one in the office. If she is unavailable, you may leave a message and she will return your call right away. How do I update or change my email, password, name, address, or phone number? Login to your account at the top right of the screen. Then click on Account at the top right of your screen. Make your changes and click Save Amendments. That is it! How is your fabric sold? Fabric is priced and sold by the ½ yard on the website. If you would like a different cut, please feel free to contact us. Our minimum is a ½ yard but after that, we can cut any amount you like. How do I change my email, password, or address? Log into your account and then click the Account link. Make your changes and click Save Ammendments. You are all set! You will be able to enter your Coupon Code during the checkout process. 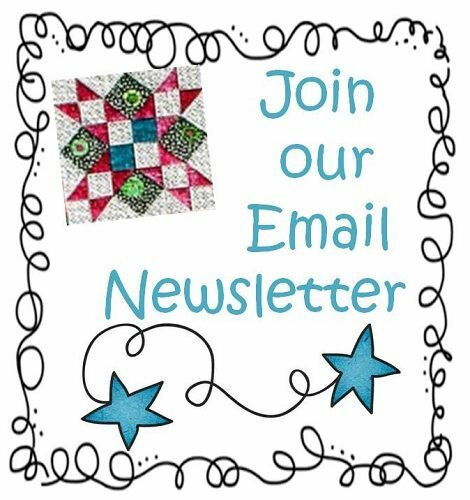 Be sure to Click e-Newsletter at the top of the page and subscribe to our newsletters (you must choose to receive our specials, not just announcements only). Also, be sure to follow us on Facebook and Instagram as we sometimes put coupon codes there that do not go out by newsletter. I am trying to check out and my credit card keeps failing. What can I do? Most of the time this is because the billing address on your account does not match the billing address on your credit card. Simply click on Account at the top right of the screen and update your billing address to match the billing address on your credit card and Click Save Amendment. You can enter a different shipping address in the checkout process. If you continue to have problems, you can choose to pay by PayPal if you have a PayPal account and you can use your credit card there, or you can contact us at 940-549-7038 M-F from 9-5 (CST) and we can complete your transaction. You may use the Contact Us links found at the bottom of the page or you may email us at info@TurningTwenty.com. You can also fax us at 775-254-5402. Absolutely! You may click on the Wholesale link at the top or bottom of the page to see our Wholesale requirements, set up a Wholesale account, or login to your Wholesale account. We are always looking for talented, motivated team members! If you are interested in Sample Making (quilting and/or embroidery), Pattern Designing, Graphics, etc., please send your resume and photos of your work to info@TurningTwenty.com. We strive to ensure our patterns are correct before publishing. However, sometimes, no matter how many times we check, something just slips by us! To see if there is a correction to your pattern or book, scroll to the bottom of this page. You will see all corrections there. 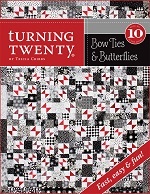 I want to make the Turning Twenty® quilt in a different size, how many fat quarters will I need? All of our Turning Twenty® books have an Alternate Size Chart in them. They list fabric requirements for sizes from lap to King. For copyright protection, we will not give this information out by phone or email. Please check your book for the Alternate Size Chart. 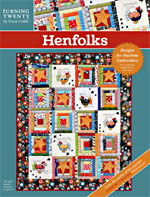 What do you use to color your embroideries like Sunday School Singers and Love Covers? Tricia uses two techniques to color her embroideries. Crayon and Fabrico Markers. We do not sell the Fabrico Markers anymore, but you can get them at Hobby Lobby. Do you do lectures and workshops? Absolutely! If you are interested in booking Tricia for a lecture or workshop, please click the Events tab to see her schedule, fees, available lectures and workshops, bio, etc. 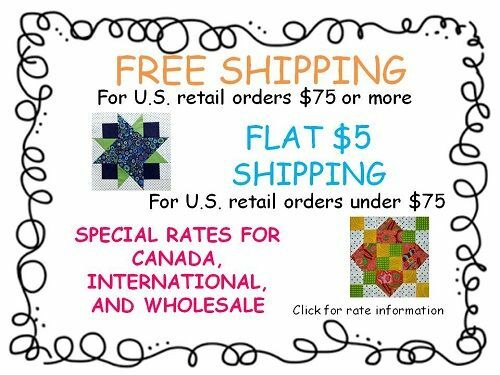 How do I contact CrackerTown Professional Longarm Quilting? Rebecca does beautiful work and she accepts quilts from anywhere. 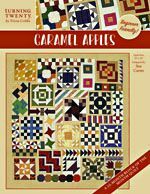 You can call Rebecca at 940-549-7176 to speak to her and schedule your quilting. 6. 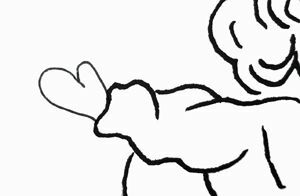 From fat quarter number 6 cut (1) 4 1/2" x 9"
Baby doll mitten was left off drawing. 7. Repeat to cut all (12) fat quarters.